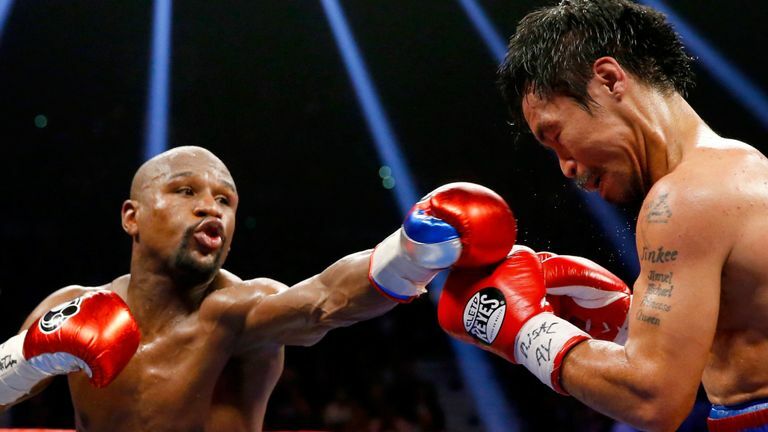 Floyd Mayweather has announced he will return to fight Manny Pacquiao this year. Mayweather posted a video of the pair on his Instagram, revealing the news of his comeback 13 months on from his knockout win over Conor McGregor in Las Vegas. Pacquiao called out Mayweather following his world title win over Lucas Matthysse in July, but ‘Money’ refused the offer of a rematch, saying “like beating him once was not enough”, instead seeking to play promoter for his long-standing rival. “I can’t knock Manny Pacquiao for what he wants to do, that’s his prerogative. “If he still wants to go out there and make money, be victorious that’s his prerogative. You do whatever you want to do. I don’t have nothing [sic] against Manny Pacquiao. “I’m [going to] get on the phone with Pacquiao after this call see if we can put him in position. There’s a lot of good competition out there that he could fight,” Mayweather told Fighthype.com.